The Doom Bar Padstow, The Mermaid of Padstow. The Doom Bar in Padstow is a sandbank at the mouth of the Camel Estuary which has wrecked hundreds of ships since the records began in the early 19th century. 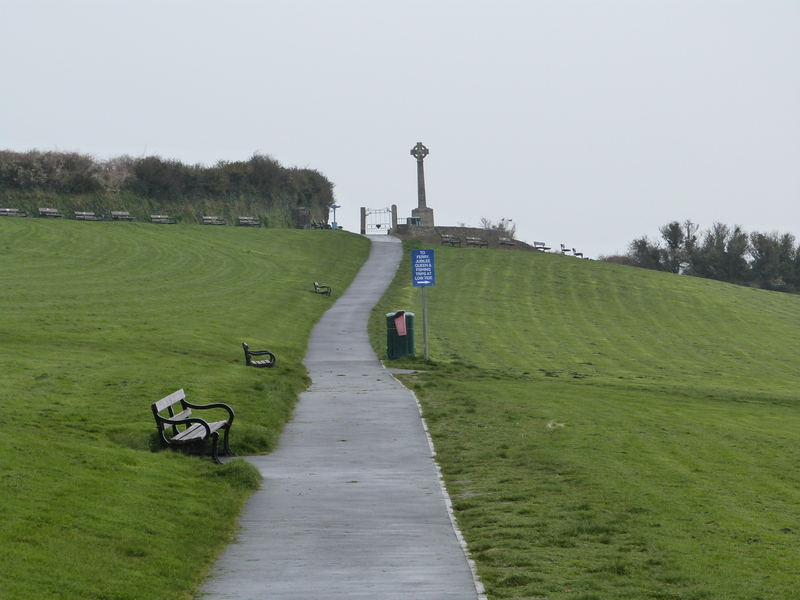 One of our walks in July took us up past the War Memorial in Padstow and down the path beyond, taking in glorious views of the Camel Estuary over to Rock and Polzeath with the Doom Bar out in the distance. I had heard of the Doom Bar and wondered about the origins of the name, most Padstow locals associate the name Doom Bar with Sharp’s Brewery, their flagship ale is called Doom Bar! 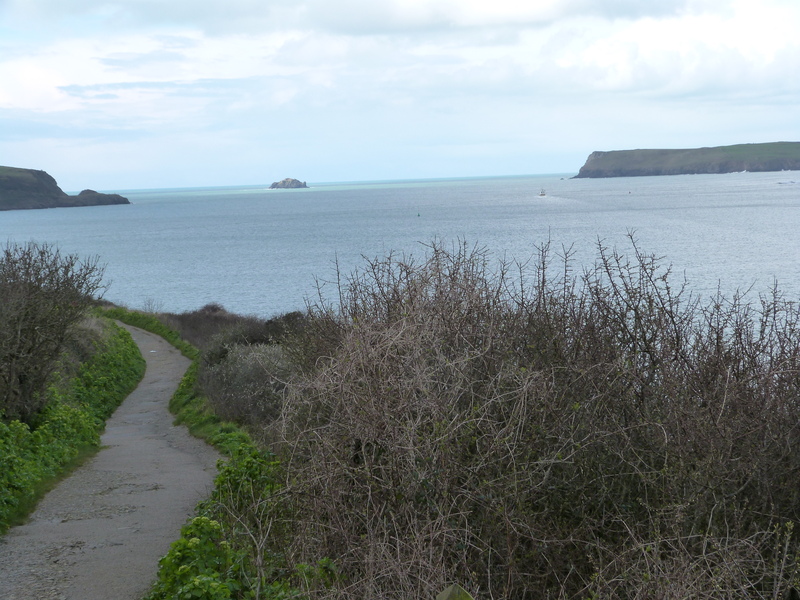 The photo shows a view of the Camel Estuary from the south towards the Doom Bar. Legend has it that the Doom Bar was created by the Mermaid of Padstow as a dying curse after she was shot by a man who many say was a sailor. In 1906 Enys Tregarthen wrote that a local Padstow man, Tristram Bird, was hunting seals at Hawkers Cove and there he saw a beautiful young woman sitting on a rock brushing her hair. He was so entranced by her beauty that he offered to marry her but when she refused he shot her, only realising afterwards that she was a mermaid. As the mermaid died she cursed the harbour with a bar of doom from Hawker’s Cove to Trebetherick Bay. A terrible gale blew up that night and when it subsided, there was the sandbar covered with wrecks of ships and bodies of drowned men. There are many different spins on the legend, The ballad The Mermaid of Padstow tells of a local man called Tom Yeo who shot the mermaid mistaking her for a seal. John Betjeman wrote his version of the myth in 1969 that the mermaid met a local man and fell in love with him, when she could no longer bear living without him she tried to lure him beneath the waves, but he escaped by shooting her. In her rage the mermaid threw a handful of sand towards Padstow around which the sandbank grew. The Mermaid of Padstow legend is doubtless a myth but…there are those who said that they heard a wailing cry on the Doom Bar after a bad storm and loss of life. Now the estuary is regularly dredged. The Doom Bar Ballad is too long to include here but I love this Victorian poem by Alice Gillington, about a girl who gave her sailor lover an engraved ring with the words “can love forget” before he set sail. Four years later she found the ring on the Doom Bar in a scallop. The lover had tossed the ring on the Doom Bar on the night he left. Padstow poetry at its best! If you want to see more poetry about Padstow and the Camel Estuary look at my June Padstow blog for the poem Seaside Golf by Sir John Betjeman. O d’you hear the seas complainin’, and complainin’ whilst it’s rainin’? And the seas rolled dark on the Doom-Bar at rising of the tide. And I watched his vessel toss on the Bar with the outward-turning tide. Alone I watch the Doom-Bar and the rising of the tide. And we ran across the Doom- Bar, all white and shining wide. And there upon the Doom Bar I knelt and sobbed and cried. But O! St. Petrock bells will never ring me home a bride! He had tossed my keepsake out on the Bar to the rise and fall of the tide! Did you hear them call in the dimorts, when the surf woke up and sighed? And I shall cross the Doom –Bar at the turning of the tide. e Doom Bar Padstow, The Mermaid of Padstow.